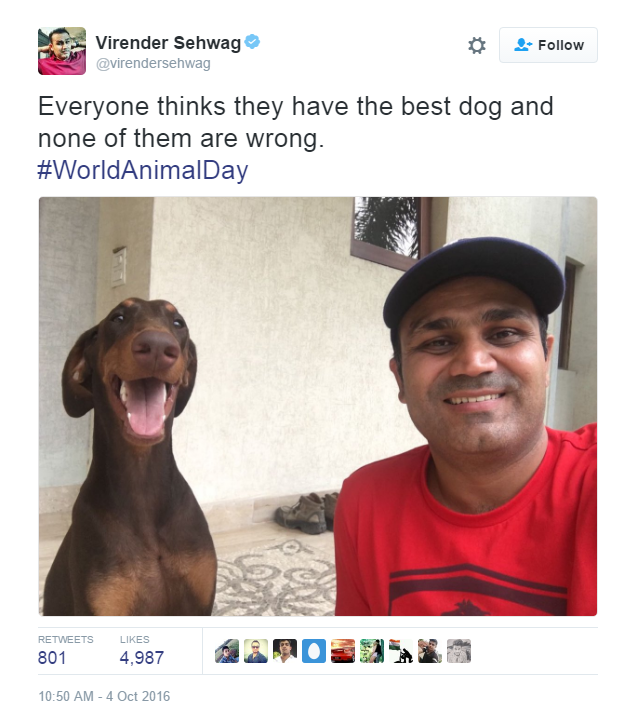 What do an evil queen, pro footballers, the Muscles from Brussels, Sonic the Hedgehog, a South Korean rapper, and a multiple record-breaking Test cricketer have in common? 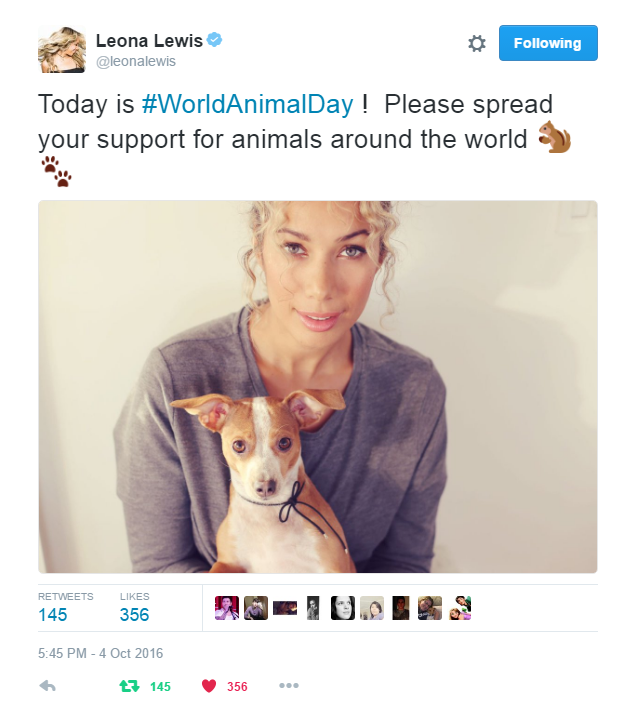 Here’s a snapshot of just some of the celebrities around the world who joined in on World Animal Day celebrations this year. 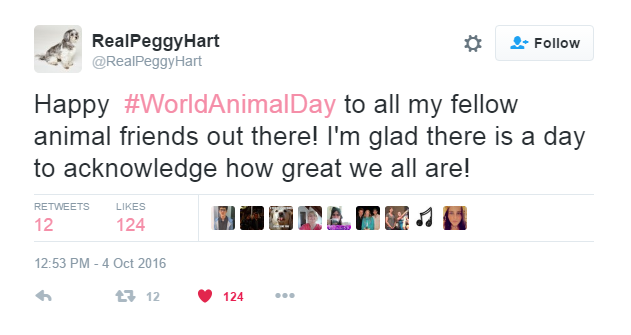 With their support, and the help of millions more around the world, World Animal Day fulfilled its mission to ‘raise the status of animals’. 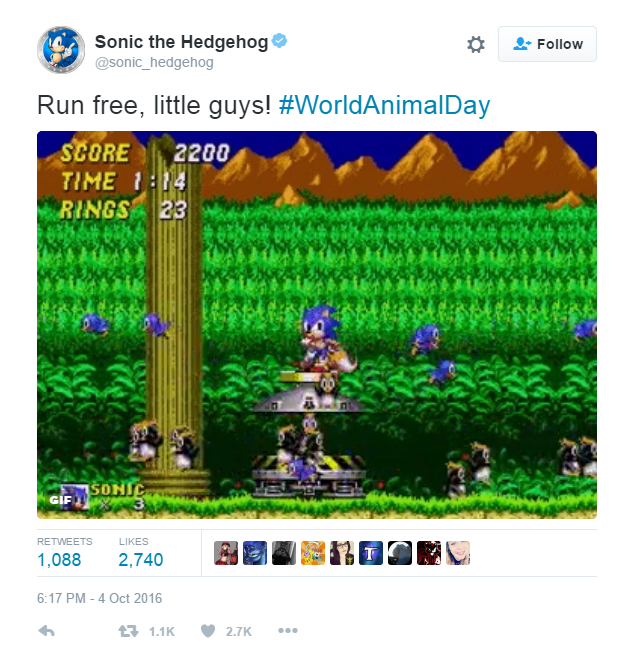 We were trending worldwide on social media all day long! 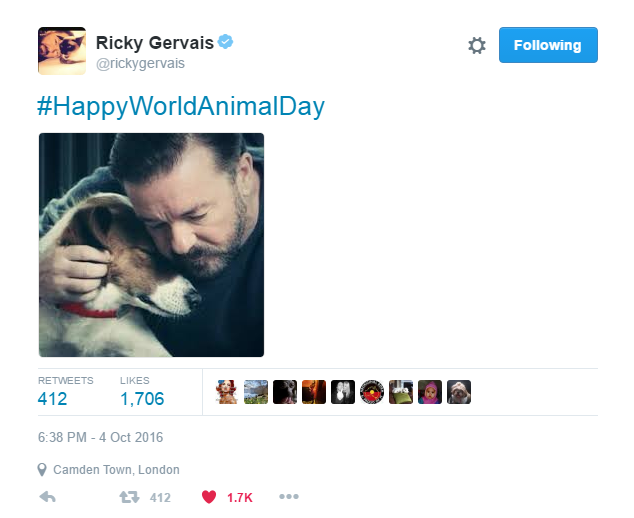 Our thanks to everyone who used their power for good on October 4 to create a better world for animals. 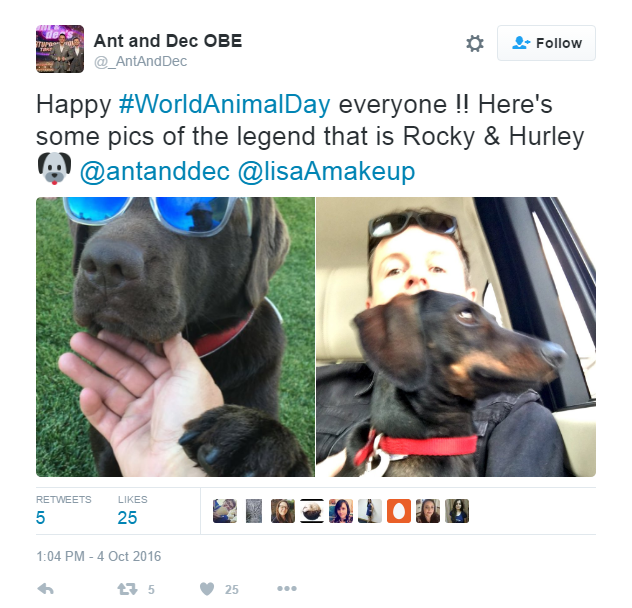 And the #WorldAnimalDay joy was even shared by Ricky’s Gervais’ cat, Ollie, (in his own unique way) and Miranda Hart’s dog, Peggy – who perhaps said it best. 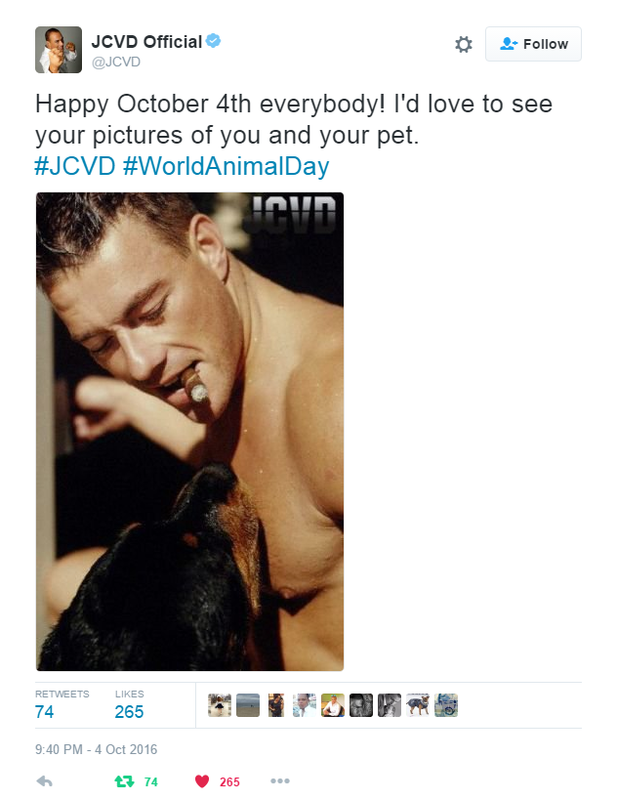 World Animal Day gets bigger and BIGGER each year! 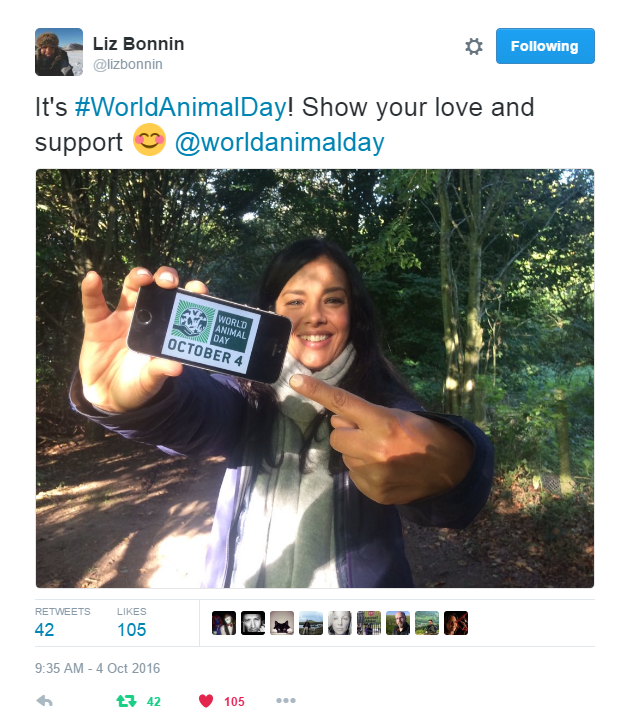 Want to be part of World Animal Day 2017? 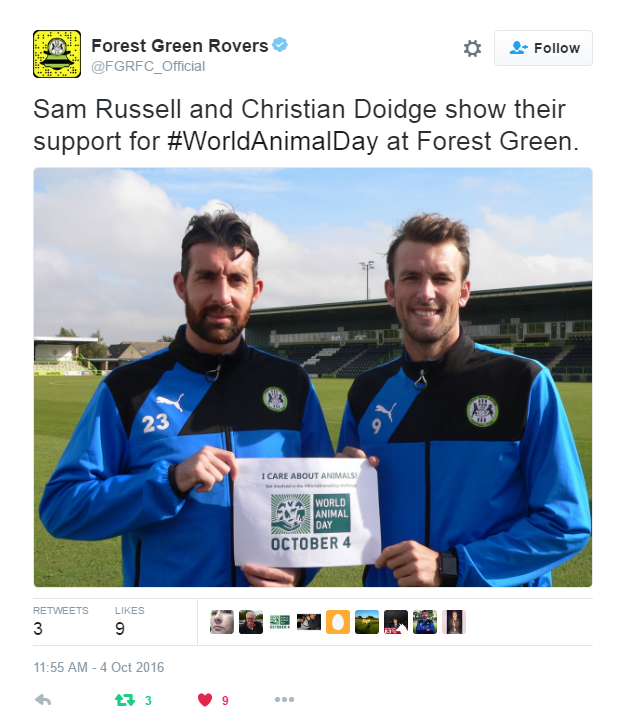 You don't need to be an actor, model or pro footballer. 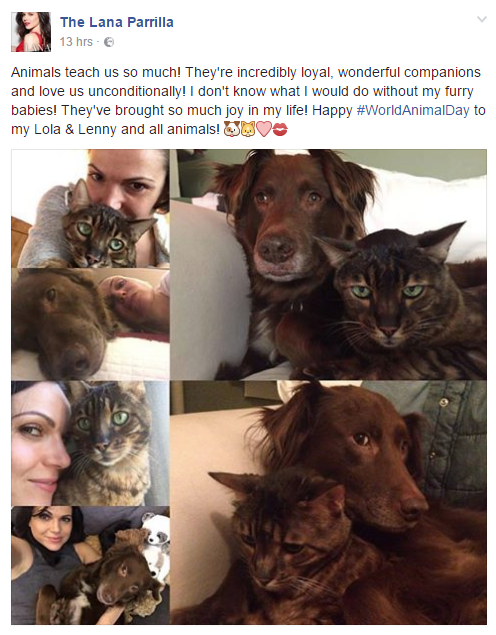 Find out how YOU can help raise the status of animals, just like these caring celebs and be part of the movement! Manage a caring celeb who wants to get more involved? 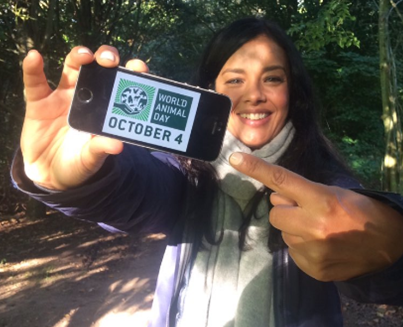 Naturewatch Foundation sponsors the World Animal Day global movement. Contact us.